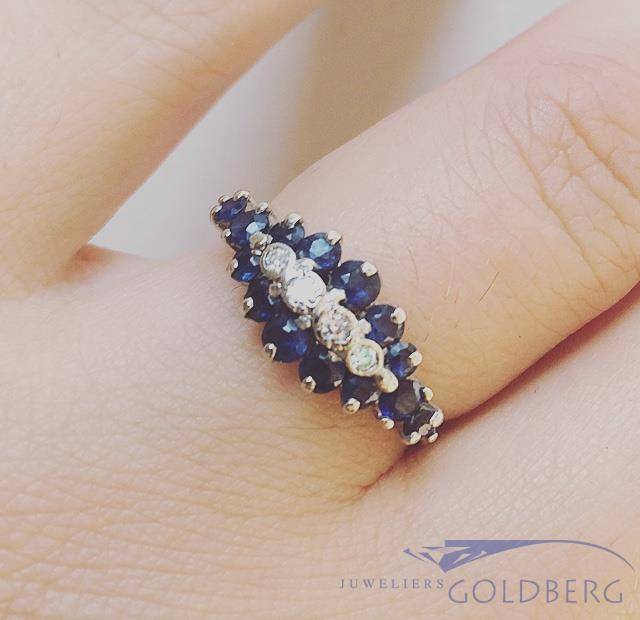 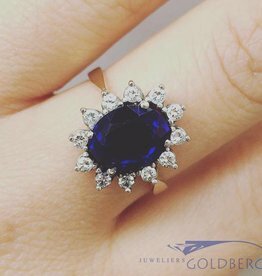 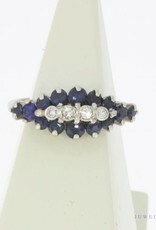 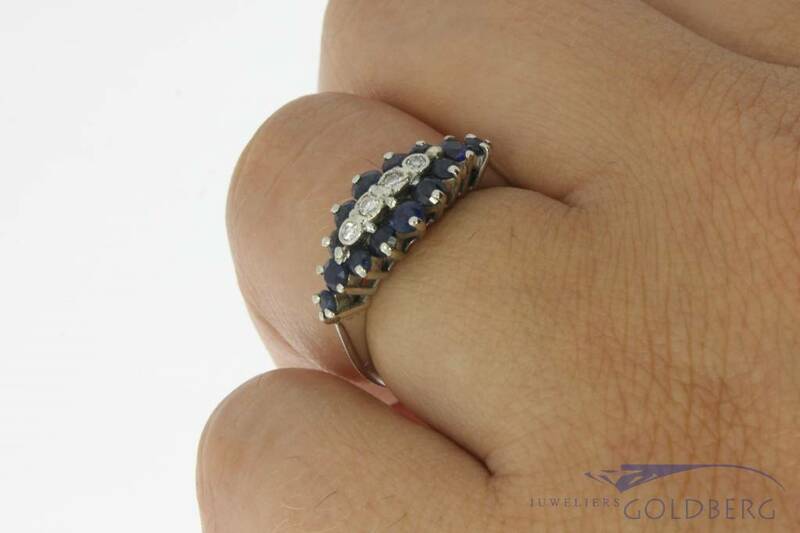 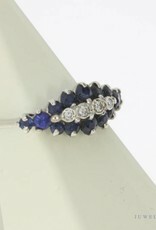 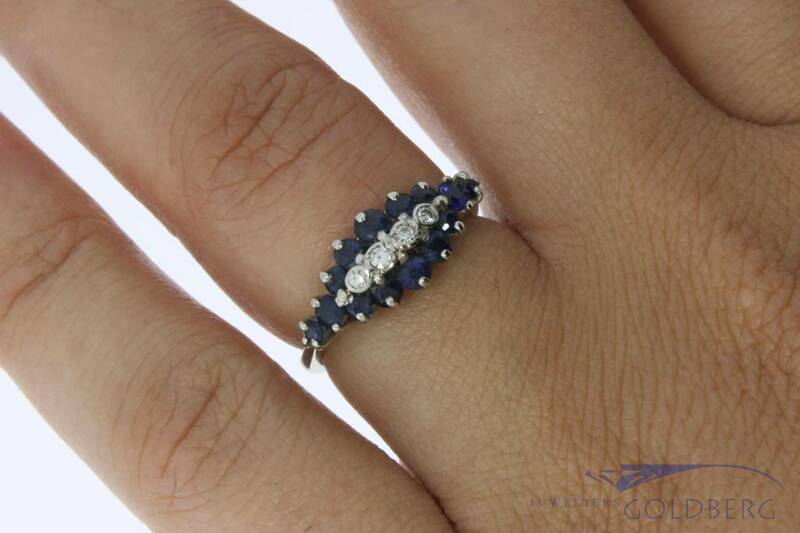 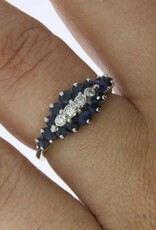 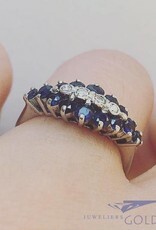 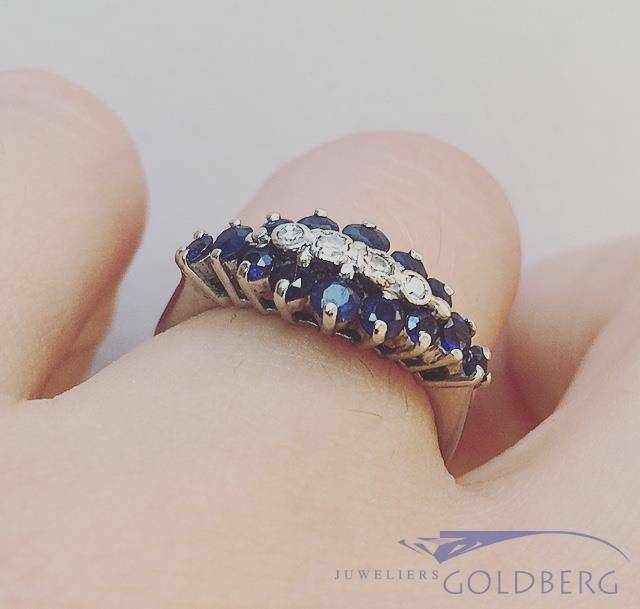 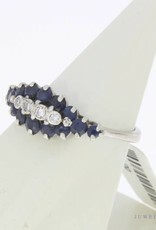 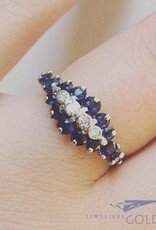 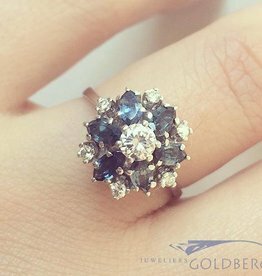 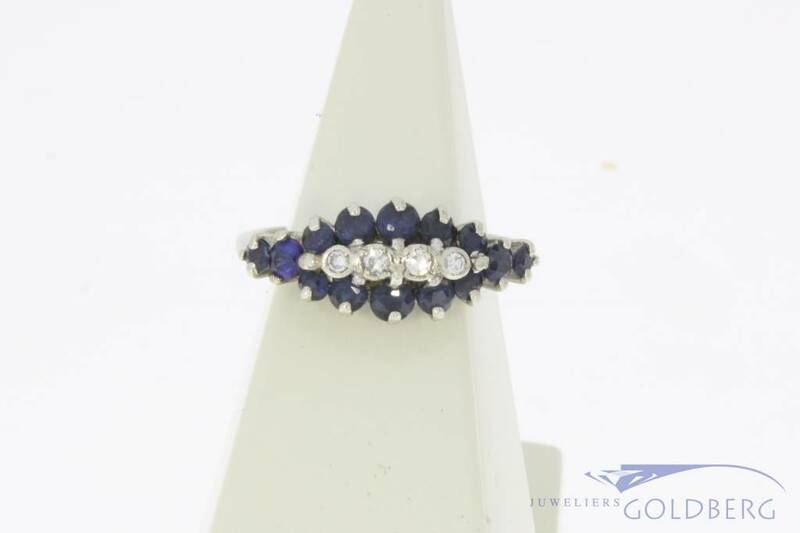 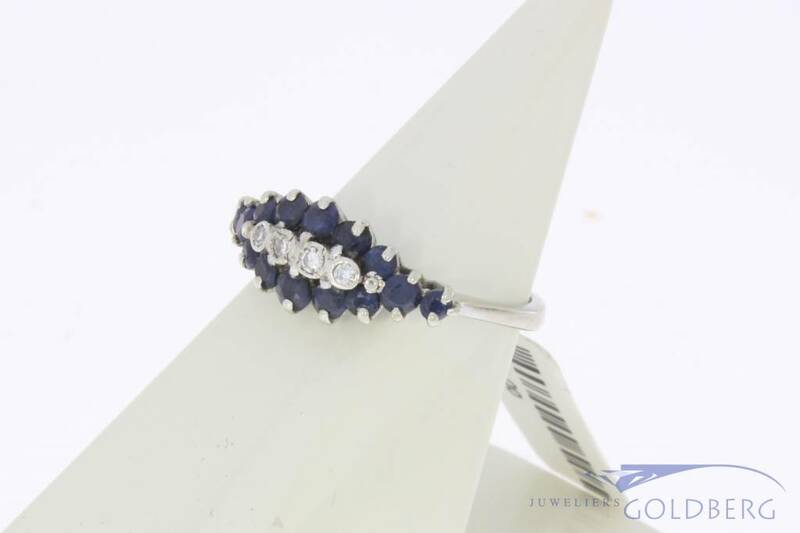 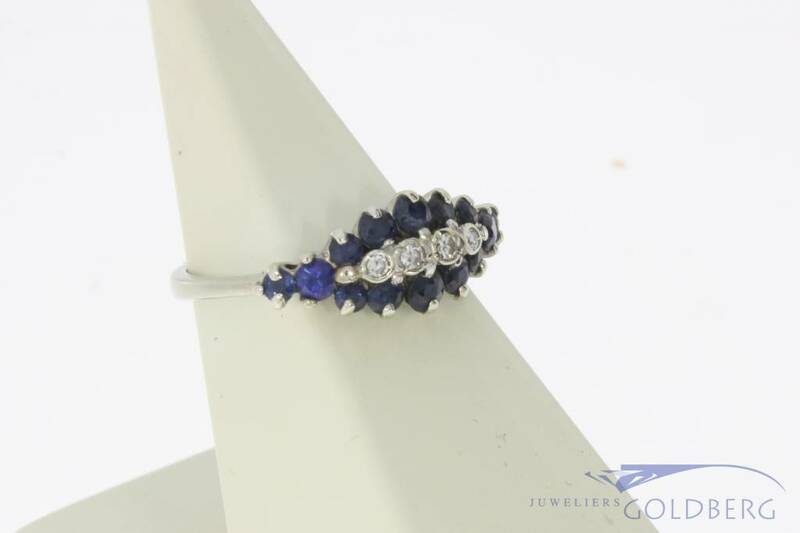 Gorgeous and special vintage 18 carat white gold ring with blue sapphire and a total of approx. 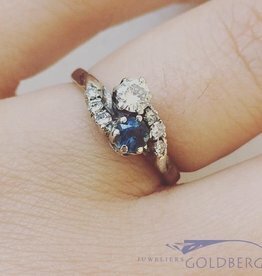 0.05ct diamond. 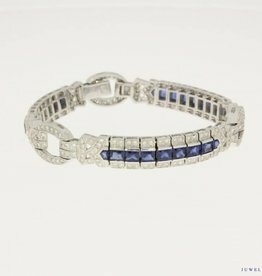 The piece of jewelery is inlaid with 14 blue sapphires and 4 octagon cut diamonds. 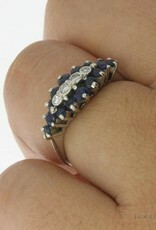 The width of the ornament with diamond and sapphire is approx. 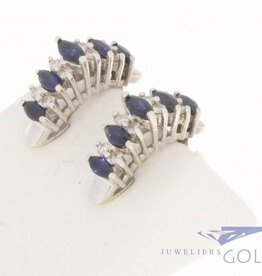 18.22 mm, the length is approx. 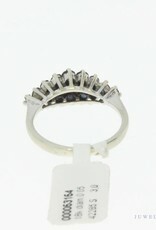 7.90 mm and the height approx. 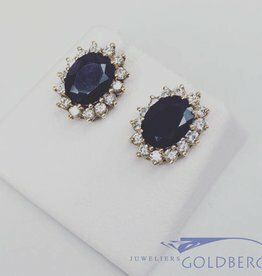 5.40 mm. 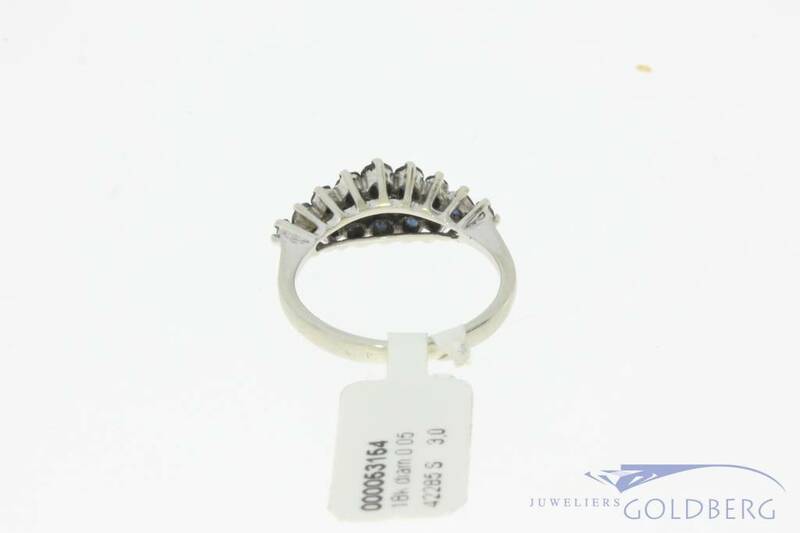 The ring size is 52 / 16.50 and the weight is 3 grams.